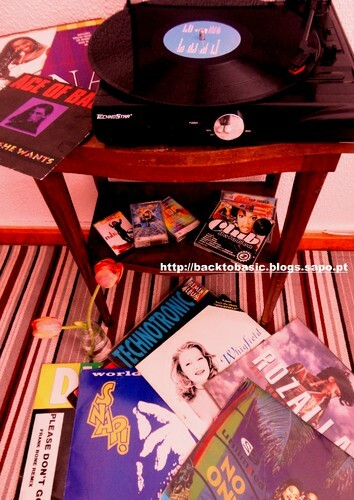 friday ... are you ready for the 90s in Madrid? Sexta-feira ... quase 24 horas antes da maior festa dos anos 90 da Península Ibérica - Love the 90s Madrid. Ainda não haverá muito a dizer, estamos ansiosos, porque sabemos que vamos estar com mais de 16 mil pessoas a viajar pelo tempo. 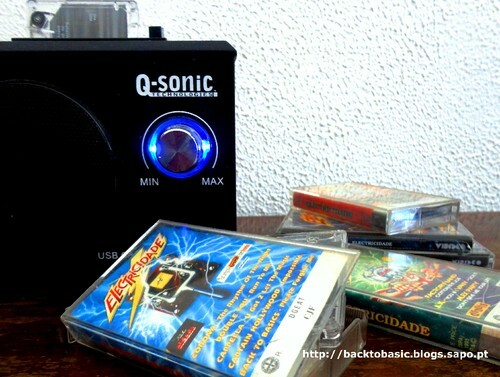 Momentos puros de nostalgia estão a surgir, tal como aqueles que estão presentes neste video e, por isso, já temos a máquina fotográfica com os rolos preparados, os walkmans, as cassettes, as calças de ganga rasgadas, os neons e os discos - e a mala está quase pronta! Já tínhamos tudo delineado quando falámos sobre este evento neste blog a 23 de março e, por isso, tirámos o pó ao vinil e às cassetes para podermos relembrar em analógico a tecnologia da época e as letras das canções. Amanhã, dia 13 de maio, se o Festival da Canção é demasiado moderno e a visita do Papa demasiado religiosa para ti, viaja pela década de 90 com os directos do Back To Music,Love & Lifestyle pelo Instagram e Facebook porque prometemos uma cobertura do evento passo a passo, música para a geração dos primeiros GameBoys e recordações do liceu... Aliás, é Saturday Night and not one minute we can lose (Whigfield, Saturday Night,1994). Friday ... almost 24 hours before the biggest party of the 90s of the Iberian Peninsula - Love the 90s Madrid. There is still not much to say, we are anxious because we know we will be with more than 16 thousand people traveling through time. Pure moments of nostalgia are emerging, just like the ones in this video, so we already have the camera with the film prepared, the walkmans, the cassettes, the torned jeans, the neons and the vinyl - and the bag is almost ready! We already had everything outlined when we talked about this event in this blog on March 23 and, therefore, we took the dust out of the vinyl and the cassettes so that we can remember the analogical technology of that time and the lyrics. Hoje arrumamos o quarto e retiramos aquela caixa escondida ... (re)descobrimos que podemos sintonizar a 107.2 aka Rádio Cidade (mais tarde Cidade FM) e ouvir em fita de crómio. Esta era a rádio que acompanhou a adolescência da geração dos anos 90, com jingles inimaginavéis e programas diversificados e divertidos. Afinal, quantos é que esperavam com a cassete pronta na aparelhagem para gravar um desses programas? Electricidade era um dos que se ouvia religiosamente, à espera das músicas de dança mais cool, que estavam nos Tops Internacionais e que iriam alegrar a nossa tarde. Aliás, o programa foi tão famoso que teve a sua primeira compilação em 94 (em CD, Cassete e Vinil) a atingir o primeiro lugar do Top de vendas em Portugal, e as seguintes editadas até 2004. À hora certa, ouvíamos o raio electrico e o famoso “Ahhh Electricidade” e sabíamos que íamos ouvir Rhythm Of The Night (Corona), Saturday Night (Whigfield), Luv 4 Luv (Robin S) ou Let The Beat Control Your Body (2 Unlimited) ... qualidade musical ou não, isso é irrelevante. Aliás, os bons momentos que estas compilações trouxeram em bailes de garagem e festas na escola são, por si só, memórias a guardar e que vamos poder recordar em Love The 90s agora em Maio. Provavelmente, vais espirrar com o pó deste post e ver que o (Novo) Acordo Ortográfico ficou deveras nervoso .... mas afinal, é não é um #throwbackthursday? Viaja no tempo ... Carrega Play! Today we tidy the room and take out that hidden box ... we find out (again) that we can almost tune in to 107.2 aka Rádio Cidade (later Cidade FM) and listen to music on a chromium tape. This was the radio station that accompanied Portuguese teenagers in the 1990s, with unimaginable jingles and diversified and entertaining programs. After all, how many of you were waiting but ready to record them? Electricidade was one of those programs we listened religiously, waiting for the dance songs that were in the International Charts and that would brighten up our afternoon. In fact, the program was so famous that it had its first compilation in 94 (on CD, Cassette and Vinyl) to reach the first place of the Sales Charts in Portugal, and the following ones were released until 2004. At the right time, we would listen to the electric ray and the famous "Ahhh Electricidade" and we knew we were going to listen to Rhythm Of The Night (Corona), Saturday Night (Whigfield), Luv 4 Luv (Robin S) or Let The Beat Control Your Body (2 Unlimited) ... music quality aside, as it is irrelevant. In fact, the good times that these compilations have brought in garage balls and school parties are, by themselves, memories to keep and we are going to revive in Love The 90s in May. You will probably sneeze with the dust that this post brings and see that the (New) Spelling Agreement got really nervous .... but after all, is it not a #throwbackthursday? Travel in time ... Press Play!